In the 1850s and 1860s, most American writers struggled to make a living by publishing stories, letters, and poems in the leading magazines of the day. A growing number of those magazines were published for the growing audience of American middle-class female readers. To appeal to the growing female audience, they published stories by women writers. Publishing for the popular audiences of the time, most have long since been forgotten, but some numbered among the best known writers of their day, including Harriet Beecher Stowe, Louisa May Alcott, Sarah Josepha Hale, Rebecca Harding Davis, Margaret Fuller, and Sarah Lippincott, who published under the name of "Grace Greenwood." Lippincott, who was born Sara Jane Clarke in Pompey, New York, on September 23, 1824, began writing during her childhood, publishing several of her poems in a local newspaper while attending school in Rochester, New York. After finishing school, she followed her family to New Brighton, Pennsylvania, settling in a home they called “White Cottage” in 1843. There Clarke began to publish poetry, children's stories, and informal letters that she wrote under the pen name Grace Greenwood in several publications, including the New York Mirror. Lippincott assumed a pseudonym like many other nineteenth-century women writers, including Fanny Fern (Sara Willis Parton) and Sophia May (Rebecca Sophia Clarke). Cover, Godey's Lady's Book, Philadelphia, PA, June 1867. 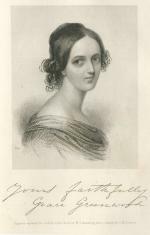 The popularity of Clarke's letters soon caught the attention of Godey’s Lady’s Book, the nation’s leading women’s magazine, which was published in Philadelphia under the direction of Sarah Josepha Hale, the nation's first great female editor. After a successful career as a writer and editor in Boston, Hale had moved to Philadelphia to edit Godey’s in 1841. Hale edited the magazine for the next forty years, expanding subscription rates from around 25,000 per month to nearly 150,000 by 1865. Under Hale’s direction, Godey’s paid top dollar for original pieces by leading American authors, including Washington Irving, Ralph Waldo Emerson, Nathaniel Hawthorne, Margaret Fuller, T.S. Arthur, and Edgar Allan Poe. 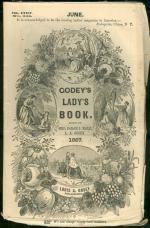 She also used Godey's as a platform for "the progress of female improvement," publishing articles on a female health, proper dress, cooking techniques and recipes, education, and other issues. 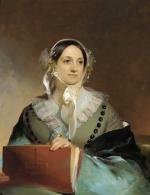 Eliza Leslie, by Thomas Sully, 1844. Sometime in the late 1840s, Clarke moved to Philadelphia, then the magazine-publishing center of the nation, to become editor of the short-lived Lady’s Dollar Newspaper. There she also worked briefly as an associate editor of Godey’s Lady’s Book but was dismissed after publishing an article in favor of abolition in the National Era, an antislavery newspaper. To avoid alienating readers, Godey’s kept clear of controversial political and religious issues, especially slavery and women’s rights. Clarke next moved to Washington, D.C., where she worked for the National Era and as a correspondent for the Philadelphia-based Saturday Evening Post. 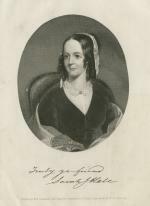 There she compiled a collection of her letters and stories, published as Greenwood Leaves (1850) and published her first book for children, History of My Pets (1851). In 1852, Clarke traveled to Europe, where she wrote stories for the National Era and Saturday Evening Post, which she then compiled in her next book, Haps and Mishaps of a Tour in Europe (1856), a work that remained in publication for the next four decades. 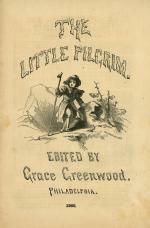 The Little Pilgrim, Cover page, Philadelphia, PA, 1866. By the mid-1850s, Lippincott was one of the nation's best-known writers. While editing and writing for The Little Pilgrim, she also continued to work for the Saturday Evening Post and became prominent in the emerging women’s movement, writing and lecturing in favor of women’s suffrage, abolition, and equal pay for women. As one of the most successful woman writers of the 1850s, Lippincott became the target of some harsh criticism, expressed most famously by novelist Nathaniel Hawthorne, who in January 1854 wrote to his publisher William Ticknor that "I am getting sick of Grace. Her 'Little Pilgrim’ is a humbug, and she herself is… I wish her well, and mean to write an article for her, by and by. But ink-stained women are, without a single exception, detestable." A year later, Hawthorne wrote a second angrier letter to Ticknor, insisting that "America is now wholly given over to a damned mob of scribbling women, and I should have no chance of success while the public taste is occupied with their trash—and should be ashamed of myself if I did succeed." The magazines that featured work by the women who competed with Hawthorne and other male writers would gain in circulation and popularity in the generations that followed, but Lippincott ‘s success was not to last. Her marriage was not a happy one, and, once married, she found her income and work, which she now published under both her pen name and as "Sarah Jane Lippincott," the property of her ne'-er-do-well and unfaithful husband. The Little Pilgrim floundered after the outbreak of Civil War and ceased publication in 1868. In 1876, Leander would flee the country after indictment for fraud. Following the demise of The Little Pilgrim, Lippincott returned to Washington, where she worked as a correspondent for the New York Tribune and the New York Times. In the early 1870s, she traveled out West, writing letters to both publications released as New Life in New Lands (1872). After returning from another two-year European trip in 1877, she became one of the few women granted permission to sit in the Congressional press gallery as a political correspondent—the first was Pittsburgh’s Jane Grey Swisshelm in 1850. The gallery, however, was closed to women in 1880 and remained so for nearly forty years. Following her final trip to Europe, Lippincott settled in Washington, D.C., in the late 1880s, where she wrote for the New York Independent and submitted stories to several publications, including Cyrus H. K. Curtis's Ladies' Home Journal, until moving to live with her only daughter in New Rochelle, New York, in 1900. Greenwood died there on April 20, 1904, at the age of seventy-nine. By then the "scribbling women" who had broken down the barriers against women writers and editors in the mid-1800s had been succeeded by a new generation of women writers and publishers, including Ida M. Tarbell, Nellie Bly, and Louise Curtis. Dale M. Bauer and Philip Gould, ed., The Cambridge Companion to Nineteenth-Century American Women’s Writing (New York: Cambridge University Press), 2001. Donna Born, " Sara Jane Clarke Lippincott," in American Newspaper Journalists, 1690–1872 edited by Perry J. Ashley (Detroit: Gale Research), 1985. 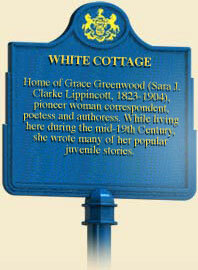 Paula Garrett, "Grace Greenwood (Sara Jane Clarke Lippincott) (1823–1904)," Legacy 14:2 (1997): 137-145. Patricia Okker, Our Sister Editors: Sarah J. Hale and the Tradition of Nineteenth-Century American Women Editors (Athens, GA: University of Georgia Press), 1995. James D. Wallace, "Hawthorne and the Scribbling Women Reconsidered ," American Literature 62:2 (June 1990): 201–222..